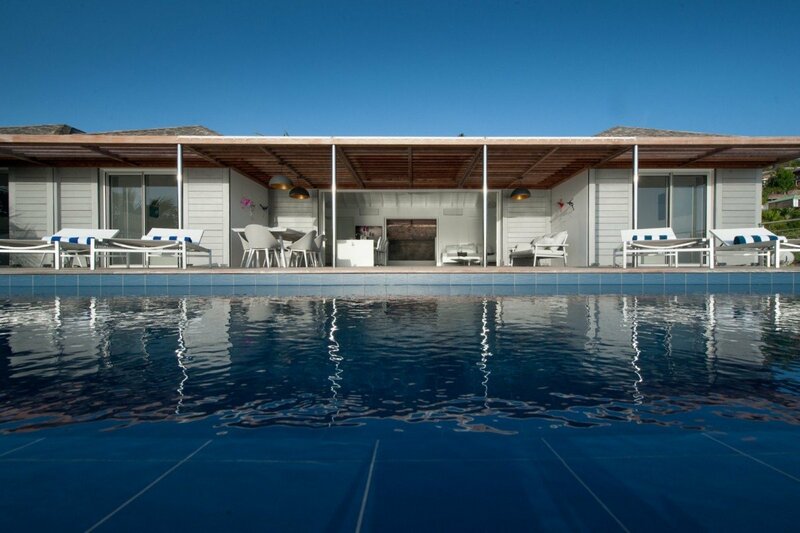 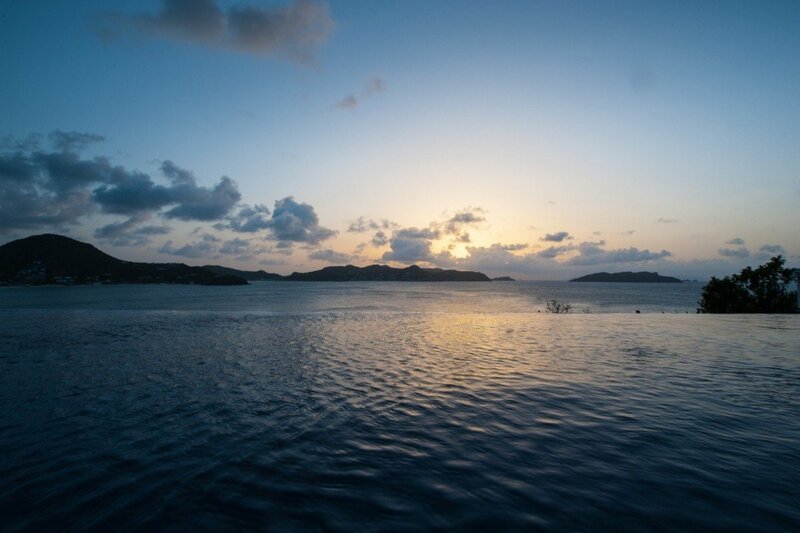 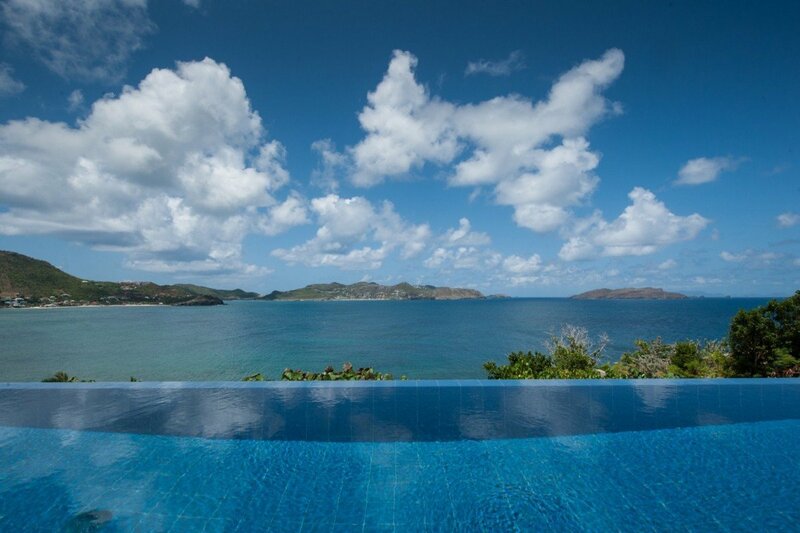 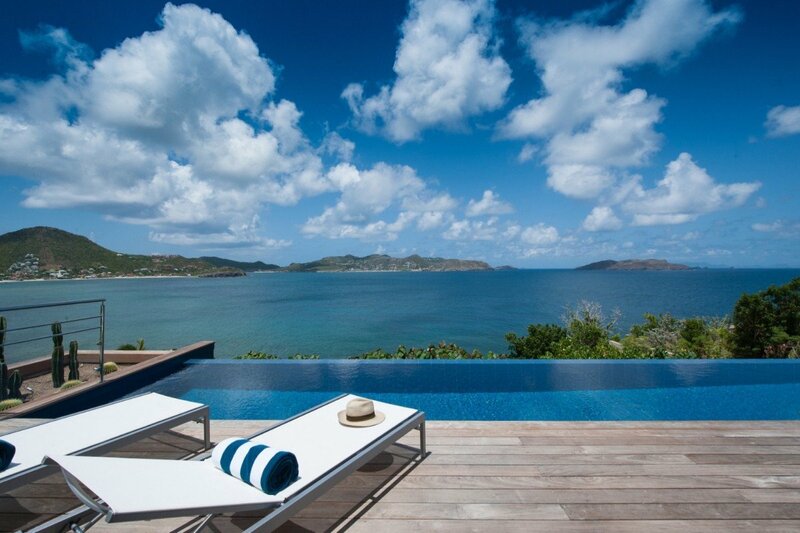 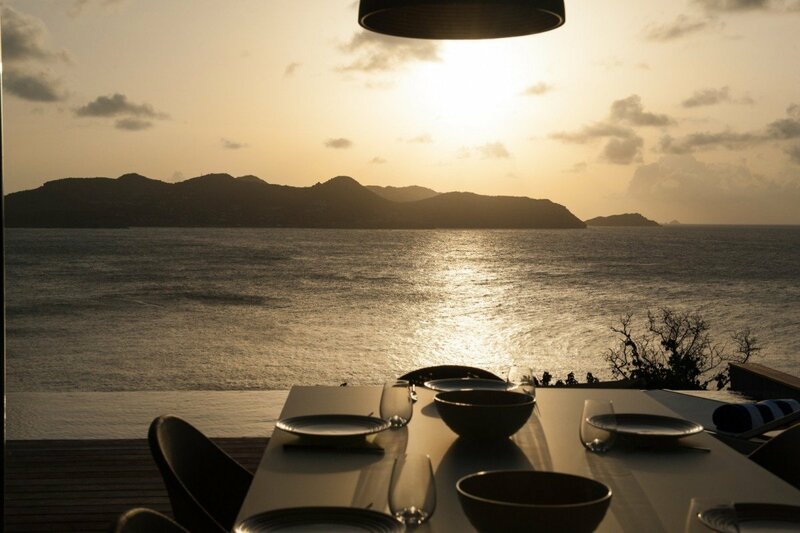 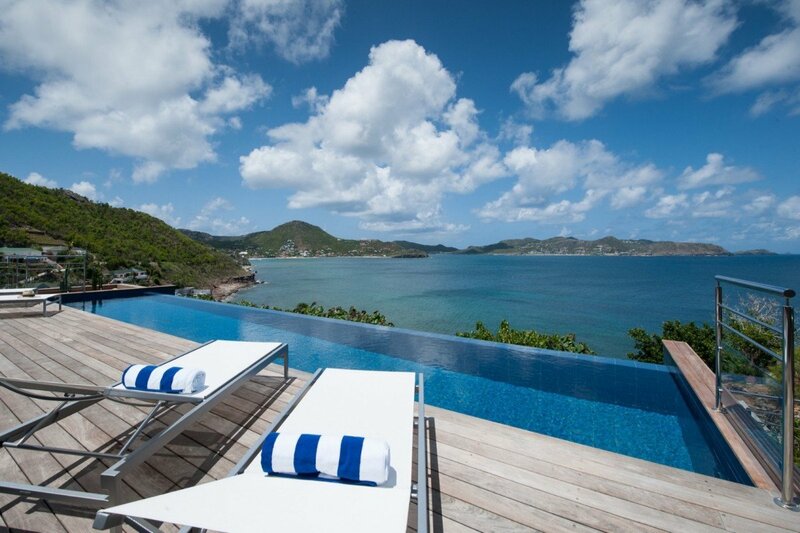 Villa Infinity View, Pointe Milou, St Barts. 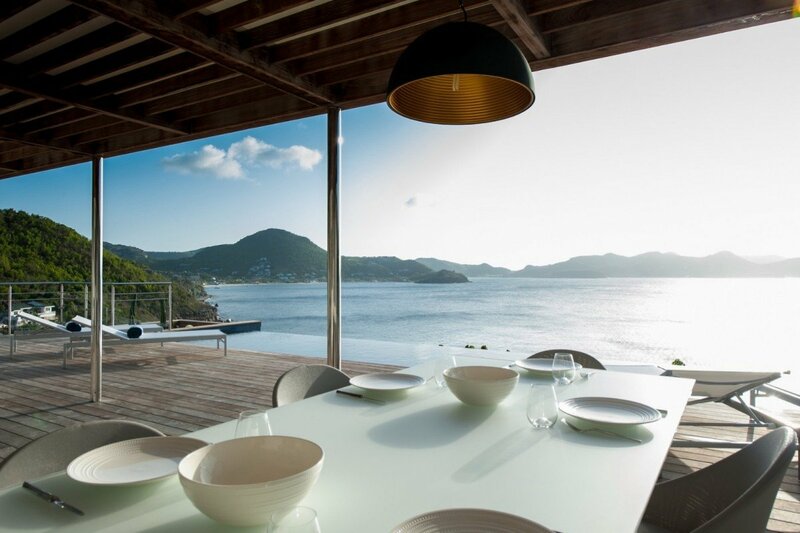 Easily living up to its name, the Villa Infinity View is located high on Pointe Milou in St. Barts and offers views of Lorient Bay and beyond. 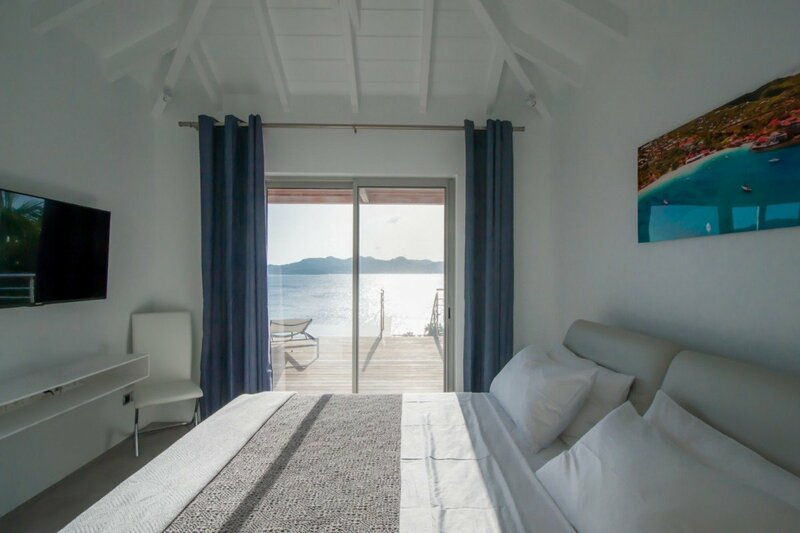 With its western orientation, visitors to this four-bedroom gem are promised unforgettable sunset views from almost anywhere in the villa. 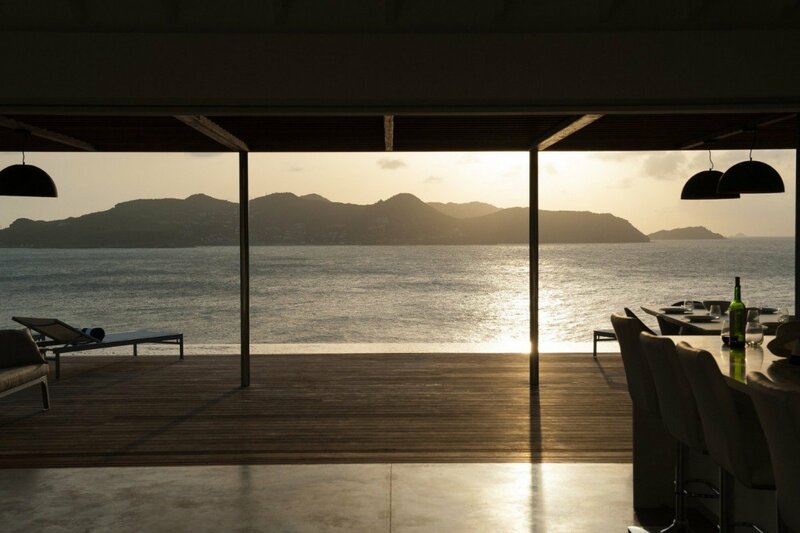 With an abundance of interior and exterior living spaces, that is saying a lot! 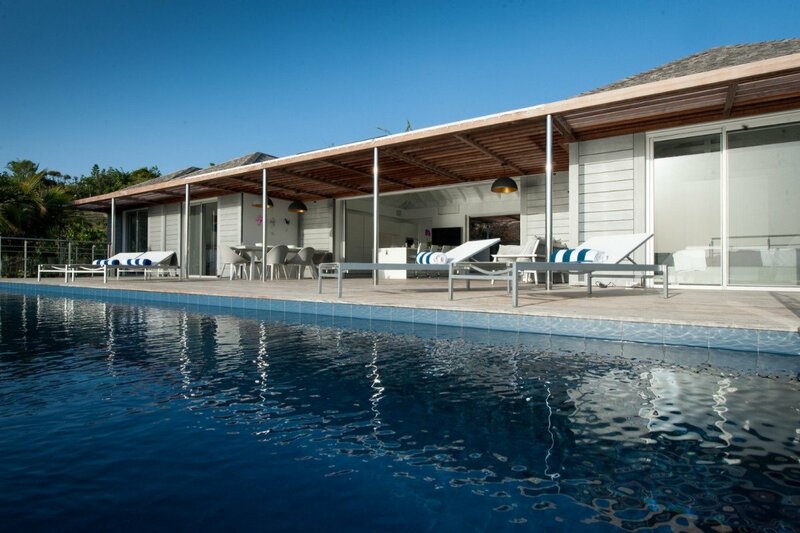 Most visitors fall in love with the expansive pool terrace as it includes a long and elegant infinity edge pool that runs the length of the villa, and features several large sun decks, an al fresco dining spot and covered verandah. 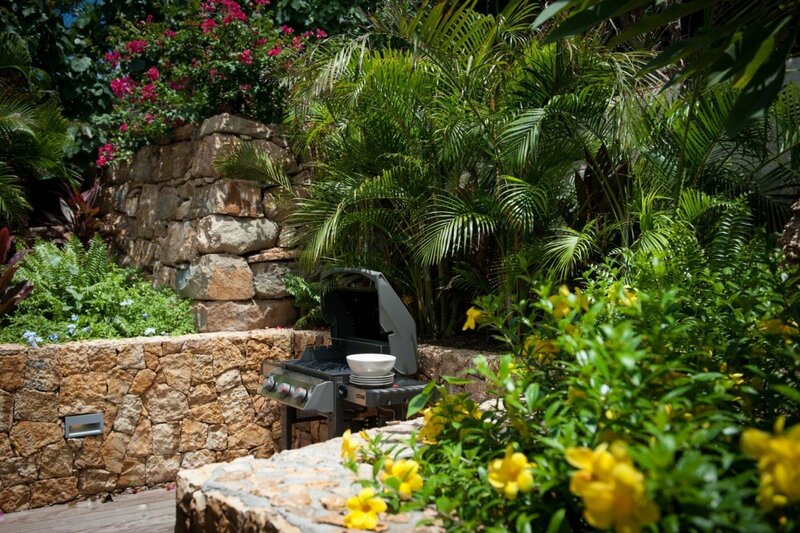 You’ll be able to enjoy a barbecue or two on the terrace and will definitely want to dedicate at least a few evenings to some stargazing. 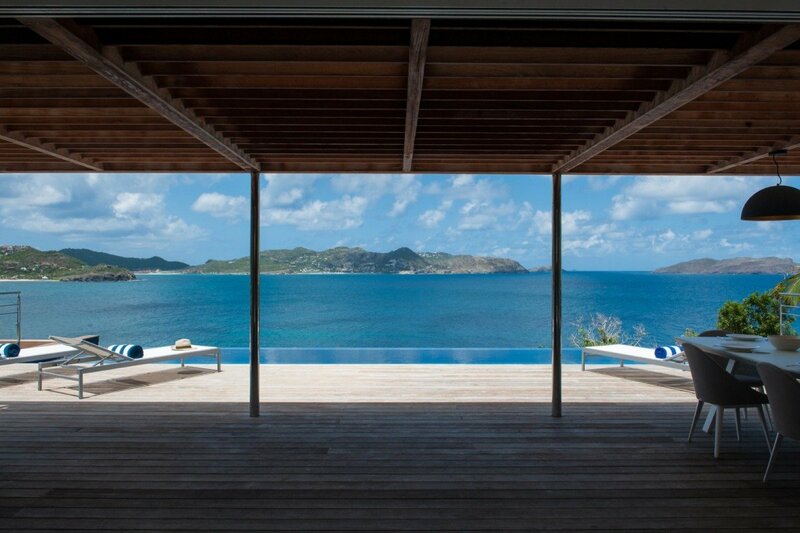 At the center of the villa, and opening to the verandah is the great room. 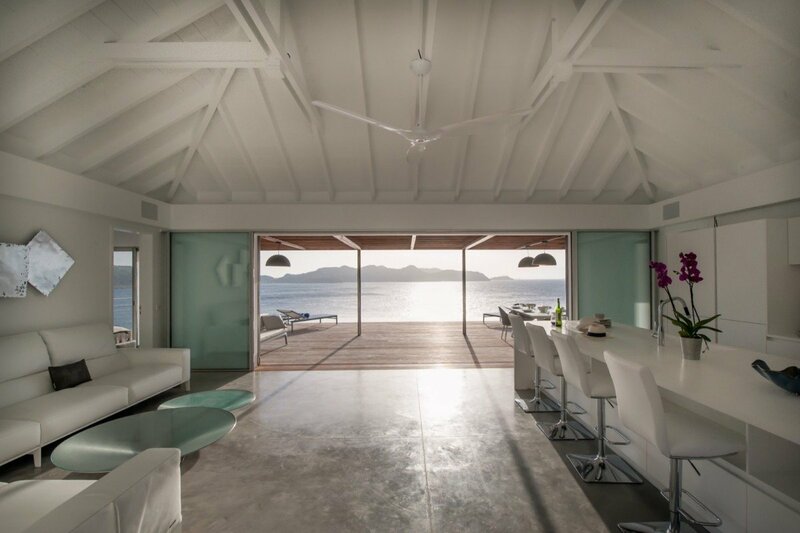 Done in an almost all-white palette, the high ceilings, floor to ceiling doors, and generous proportions of the room work wonders at capturing the sunlight, sea breezes and show-stopping views. 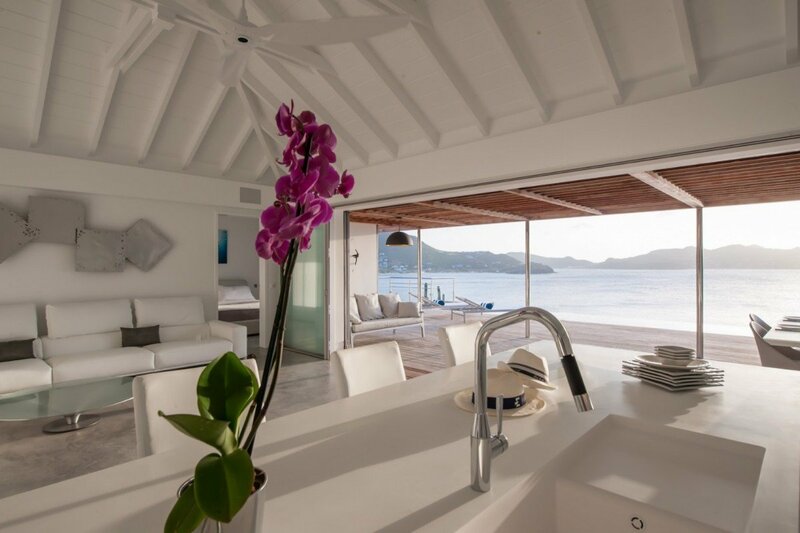 Whether lounging in the living room area, enjoying a bite at the breakfast bar or working in the sleek, and fully-equipped kitchen, you won’t miss a minute of the fun or scenery. 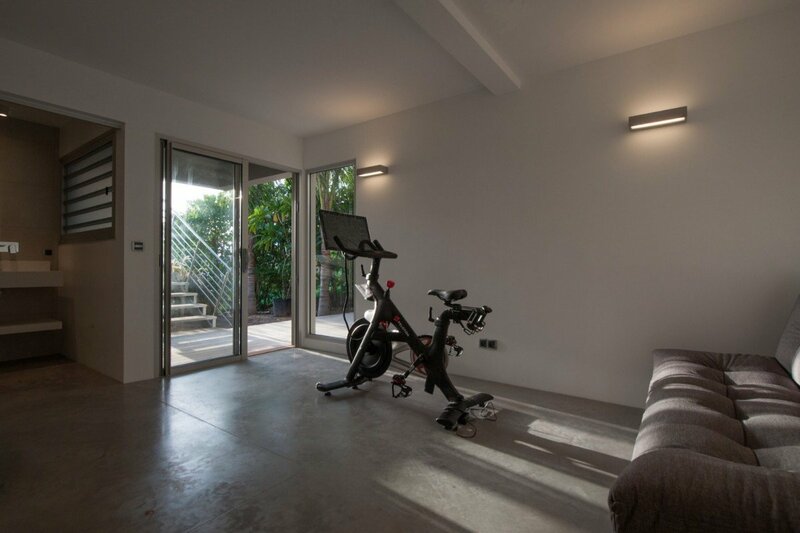 You can also head to the lower level if you want to get some exercise in your private fitness room or just explore the grounds. 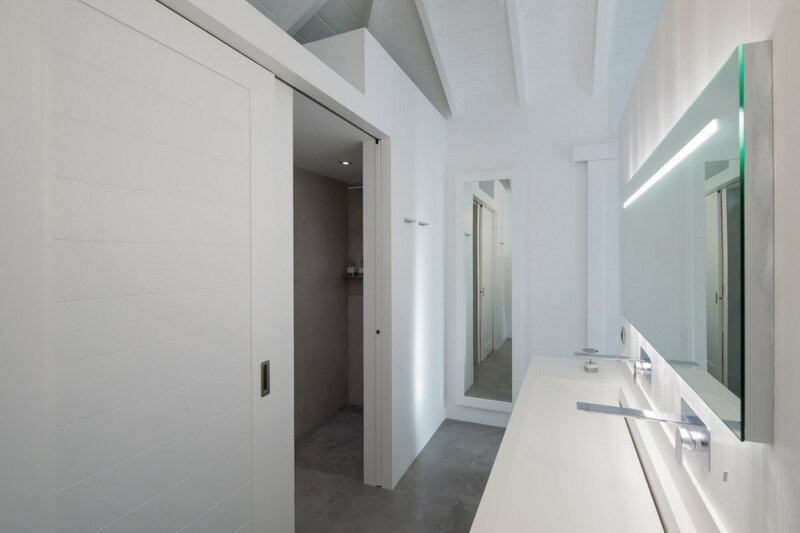 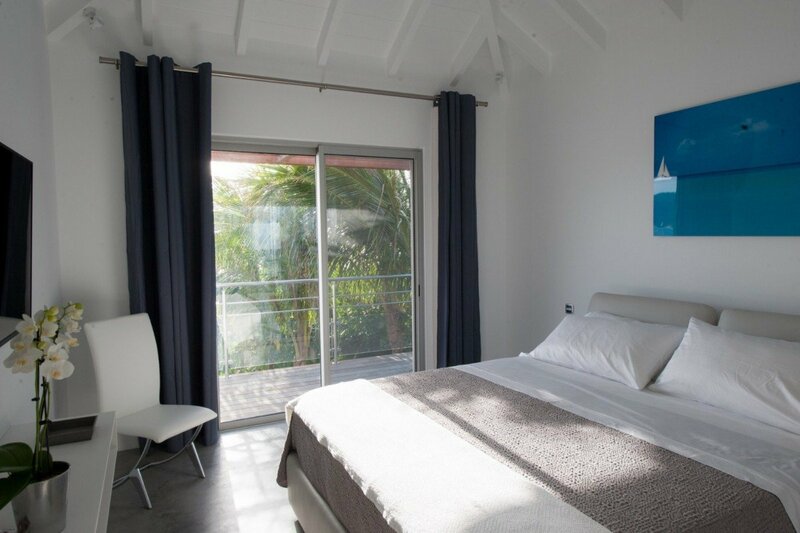 The four bedrooms are each furnished as king suites, and while three are on the main level, the fourth is at the lower level and even has a private entrance. 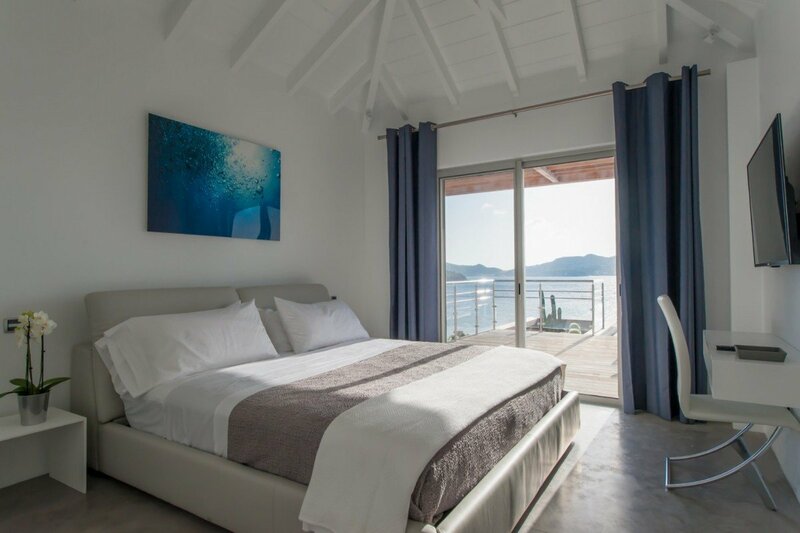 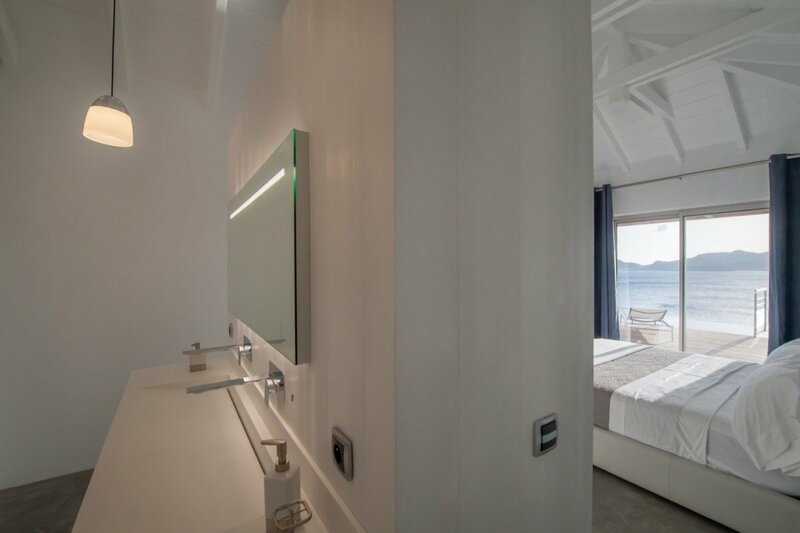 All of the bedrooms open to private terraces and offer amazing views. 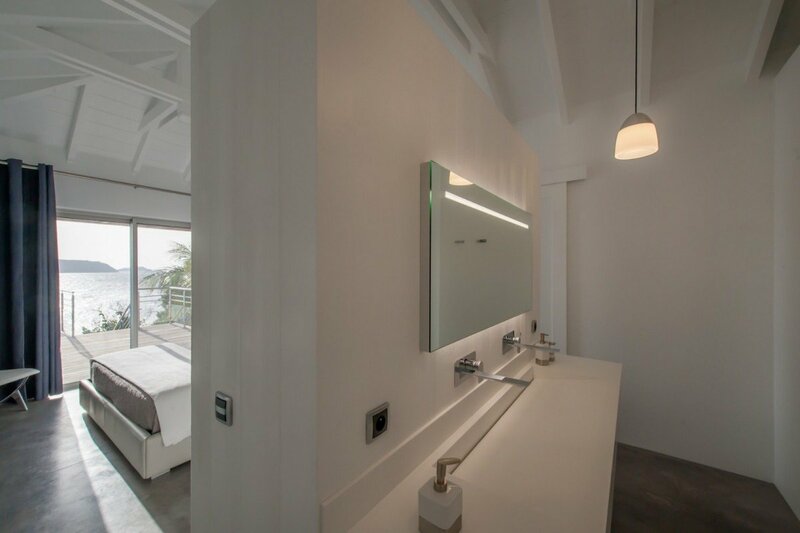 They have private baths, satellite TV and more. 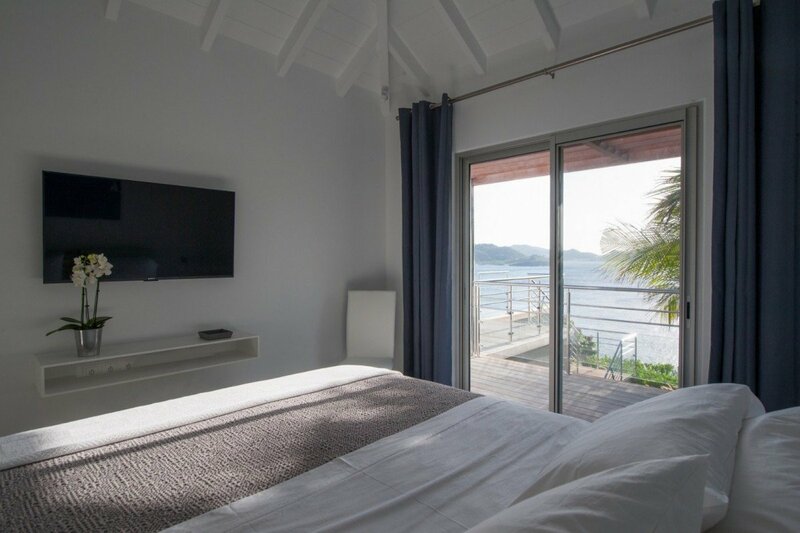 If you are planning this year’s getaway with your most discerning friends or a gathering of your family, the Villa Infinity View is going to delight them all!